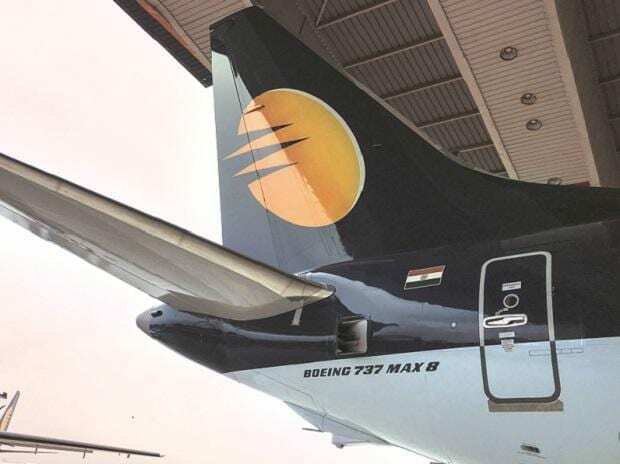 After flying for 25 years, Jet Airways Wednesday announced temporary grounding of operations after the lenders declined a Rs 400-crore lifeline, putting at stake 20,000 jobs and thousands of crores in passenger refunds, dues to vendors and over Rs 8,500 crore to banks. However, the once-premier airline flew into deeper turbulence-second in its history after the 2010 crisis-- after four back-to-back quarterly losses, leaving it gasping for financial breath and forcing it to default on payments to nearly all--from banks to lessors, to employees, and eventually leading to the shutdown from tonight as its fleet strength has crimped to just about five planes from 123 in December last. "Since no emergency funding from the lenders or any other source is forthcoming, we will not be able to pay for fuel or other critical services to keep the operations going. "Consequently, with immediate effect, we are compelled to cancel all our international and domestic flights temporarily. The last flight will operate today," Jet Airways said in an evening statement. And the formal grounding announcement will lead to exponential spike in airfares amid the peak summer travel demand. Under a debt resolution plan approved by the airlines board on March 25, Goyal agreed to cede control to the lenders consortium and also resigned from the chairmanship. His wife, Anita, too quit the board. He had also agreed to halve his stake in the airline to around 25 per cent. But the April 2 Supreme Court order quashing the February 12, 2018 RBI circular (which ended all debt recast plans even on a one-day default) put paid to the resolution plan as banks were left with no leeway to restructure the loan and pay the promised Rs 1,500 crore interim funds which would have been converted into equity at Re 1 a share and also take over the management control. Before its last flight tonight from Amristar t0 Delhi, Jet's fleet has diminished to just five aircraft and 37 flights from 123 planes and some 650 flight daily till December last. The carrier, however, said it will now await the bid finalisation process by the lenders. Earlier this month, SBI Caps, on behalf of the lenders, had invited bids for selling between 32.1 percent and up to 75 percent stake in the airline and the bids were open from April 8 through 12 after a two-day extension. The airline said the expressions of interest were in and bid documents were issued to the eligible recipients Wednesday. Tuesday banks identified four bidders-Etihad Airways, the national investment fund NIIF, private player TPG and another fund house Indigo Partners as eligible bidders who have time till May 10 to submit the final financial bids.